The railway reached Sandhurst in 1862 and in the following years tenders were awarded to Collier and Barry for the extension of the line to Echuca. 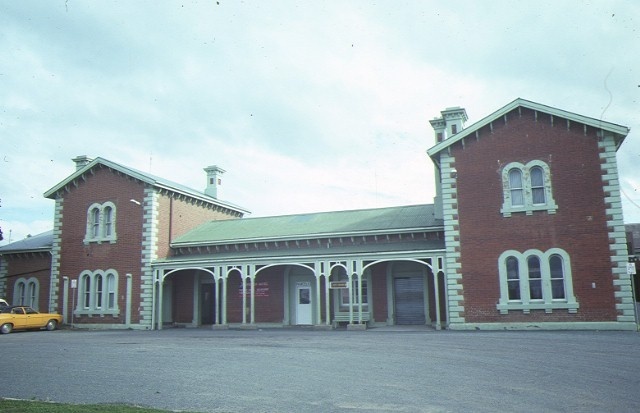 The brick station building at Echuca was constructed for the Railways in 1864 by contractors R Abraham & Co. Alterations to this building were carried out in 1877 by contractors Walker and Halliday with the addition of the purveyor's residence above the refreshment room and an extension to the ground level toilets. The double gable roofed brick goods shed was also built in 1864 by J Irons. The locomotive depot buildings comprise the engine shed (VHR No.H1060), water tower and 70 foot turntable. The shed was built in 1864 by J Walker and the water tower in 1877 by Roberts and Son. The iron footbridge with timber approach steps was added to the complex in 1880 by Johnson & Co. 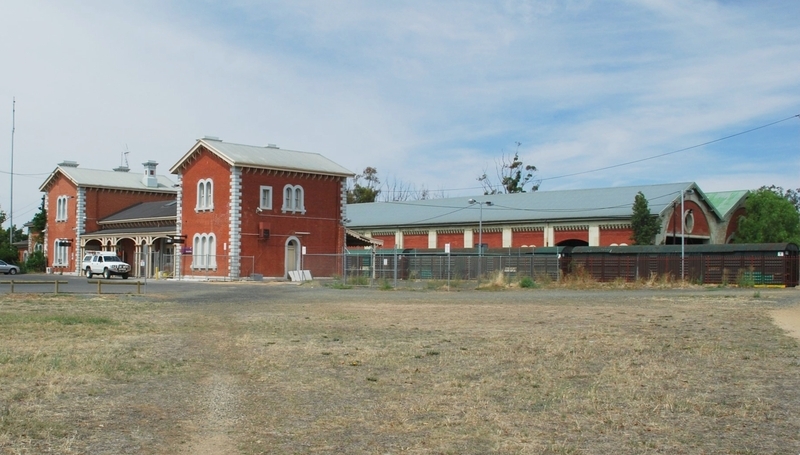 The Echuca railway complex has historic and architectural importance to the state of Victoria. The railway complex at Echuca has an association with the economic development of Victoria. Once the busiest non-metropolitan station for a period during the nineteenth century, its pre-eminence only being surpassed at different times by Geelong and Ballarat, the line to Echuca was built to tap the rich Murray trade as well as the gold trade of the Bendigo area. 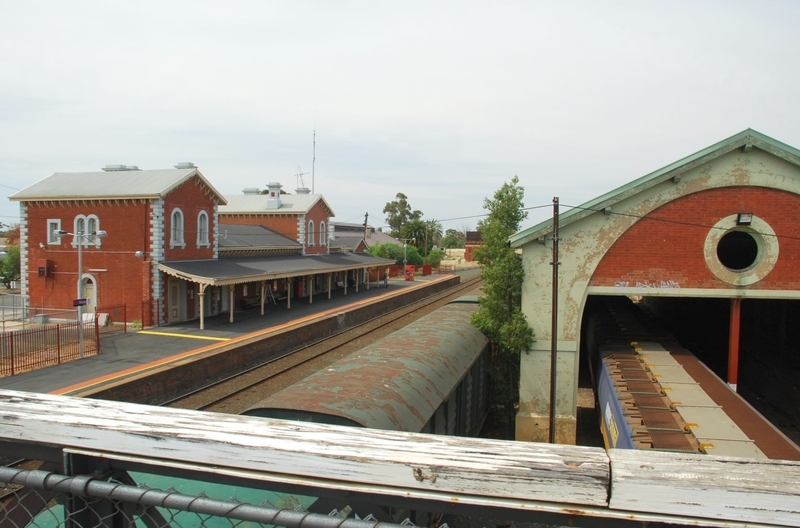 The size and details of the complex, particularly the substantial two-storeyed station building, the double gable roofed brick goods shed and the rectangular Italianate engine shed with oculus and round arched arcading, demonstrate the importance of not only Echuca within the state but also the importance of the railway line to the economic growth of Victoria. The complex has an association with the railway line known during its construction as the Melbourne and River Murray railway, the largest of the Colony's first two main trunk lines, the other being Geelong to Ballarat line. This railway line is significant for its close adoption of British engineering and architectural standards and survives as a monument to the work of engineers-in-chief George Christian Darbyshire (1856-60) and Thomas Higginbotham (1860-78). The complex includes buildings which are rare and essentially intact examples of a building type. The locomotive depot buildings have a high level of integrity. The engine shed retains its slate roof with lantern and smoke vents and inside, iron trusses hold the roof and remains of rooms survive at the north end. The water tank and tank house compares with Bendigo (tank removed) and is the most intact of its type. The goods shed retains its massive timber, cast and wrought iron trusses. The footbridge is a unique surviving design incorporating cast iron components. 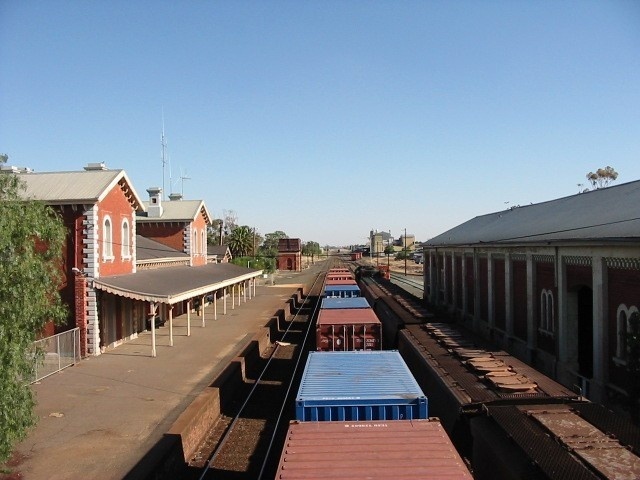 Railway Complex, Sturt Street, Echuca. 1. 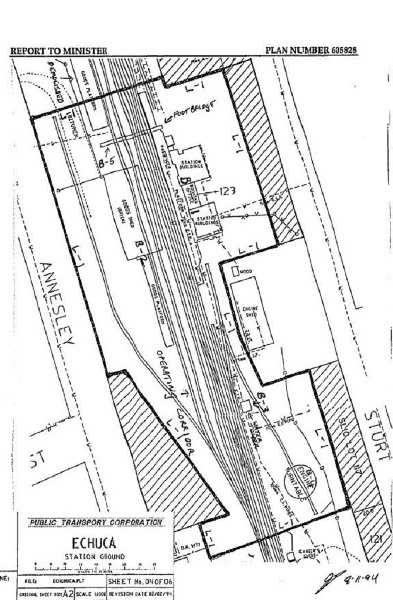 All of the buildings known as the Echuca railway complex including the station (B-1), goods shed (B-2), water tower (B-3), turntable (B-4) and footbridge (B-5) marked B-1 to B-5 on Plan 605828 endorsed by the Chairperson, Historic Buildings Council and held by the Director, Historic Buildings Council.